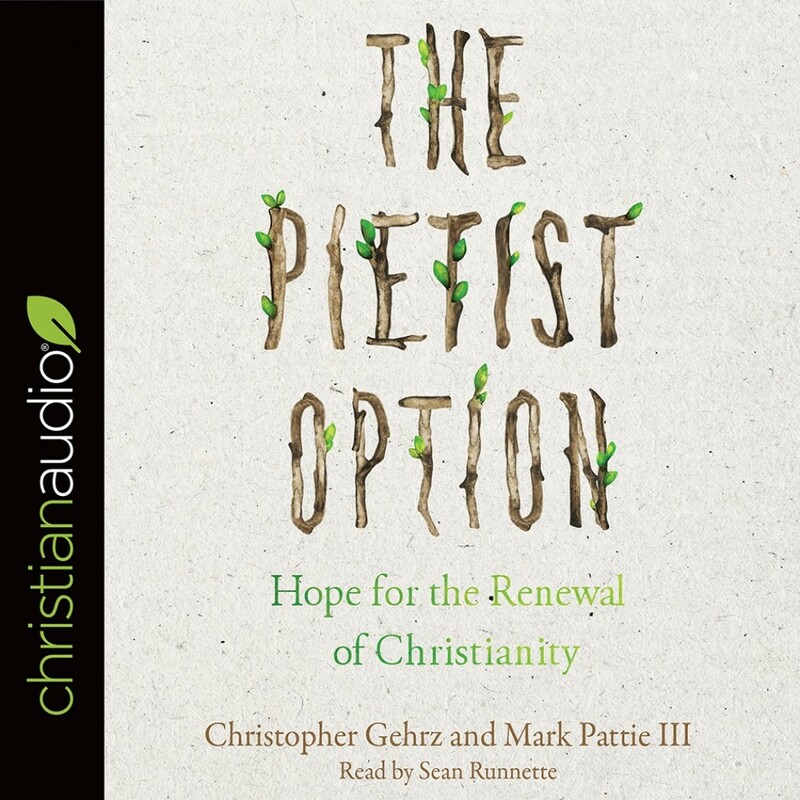 The Pietist Option | Christopher Gerhz & Mark Pattie III | Audiobook Download - Christian audiobooks. Try us free. Historian Mark Noll has written that historic Pietism "breathed a badly needed vitality" into post-Reformation Europe. Now the time has come for Pietism to revitalize Christianity in post-Christendom America. In The Pietist Option, Christopher Gehrz, a historian of Pietism, and Mark Pattie, a pastor in the Pietist tradition, show how Pietism holds great promise for the church-and the world-today. Modeled after Philipp Spener's 1675 classic, Pia Desideria, this timely book makes a case for the vitality of Pietism in our day. Taking a hard look at American evangelicalism and why it needs renewal, Gehrz and Pattie explore the resources that Pietism can provide the church of the twenty-first century. This concise and winsome volume serves as a practical guide to the Pietist ethos for life and ministry, pointing us toward the renewal so many long for. The Pietist Option introduces Pietism to those who don't know it-and reintroduces it to those who perceive it as an outdated and inward-focused spirituality, a nitpicking divisiveness, or an anti-intellectual withdrawal. With its emphasis on our walk with Jesus and its vibrant hope for a better future, Pietism connects decisively with the ideas and issues of our day. Here is a revitalizing option for all who desire to be faithful and fruitful in God's mission.